My Place at Cinnamon Beach is a new, tastefully decorated, oceanfront condominium that overlooks the Atlantic ocean. Our secluded, resort-type setting offers miles of shell covered beach with nearby access to the intercoastal waterway. 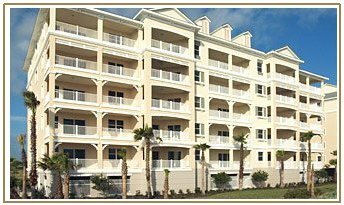 This condominium building is located just a short walk from the two Cinnamon Beach clubhouses. 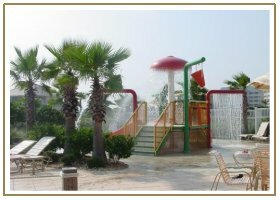 The Ocean Clubhouse, designed with adults in mind, offers a secluded environment. The ideal place to watch the sunrise or enjoy an evening sea breeze, it includes a spectacular lap pool, a viewing tower overlooking the ocean, and chairs and umbrellas for use on the beach. The livelier Lake Clubhouse includes fitness facilities, a family pool with a sprayground, a teen center with foos ball and air hockey, and an entertainment room with a billiards table, all with views of the fresh-water lake. 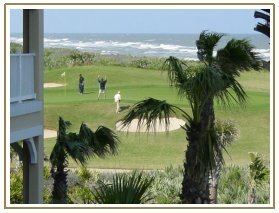 Towels are available for guest use at each clubhouse..
With 6 area golf courses and the close proximity to the World Golf Village in St Augustine and the TPC at Ponte Vedra, this is truly a golfer's paradise. Add the beautiful cinnamon colored beach and stunning pools and you have the perfect family vacation location. We know that after you stay at My Place at Cinnamon Beach you will be back again and again.